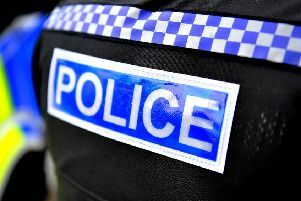 Police in Sussex are warning students and other young people about the dangers of getting caught up in money laundering scams when they are making multiple job applications. Detective Inspector Till Sanderson of the force’s Economic Crime Unit said; “We have had two recent instances of young people supposedly being “employed” by companies in America and then being asked by them to transfer funds placed in their accounts, onward overseas. “In both cases the people concerned thought they had been given genuine jobs and have just become suspicious later. In one incident the man had accepted an apparent online job offer purporting to be from a promotions company in Florida, and forwarded on £3,400 to an account in Turkey before his bank became suspicious. The woman had accepted an online ‘job’ as a data inputter with a supposed New York City company, and had similarly forwarded on some £1,710 to a Ukraine account before suspicions were aroused. Police and anti-fraud experts advise great caution over unsolicited emails or approaches over social media promising opportunities to make easy money. Money mule adverts or offers can take a variety of different forms and they may even copy a genuine company’s website and have a similar web address to make the scam seem authentic. These adverts will normally state that they are an overseas company seeking ‘UK representatives’ or ‘agents’ to act on their behalf for a period of time, sometimes to avoid high transaction charges or local taxes. The advert may be written in poor English with grammatical and spelling mistakes. If you have already disclosed your bank account details or received money into your account and you think it could be a money mule scam, you should contact your bank immediately.